If you are after city centre living, Marketgate is a great place to live if you’d prefer to be in the centre of a buzzing city. 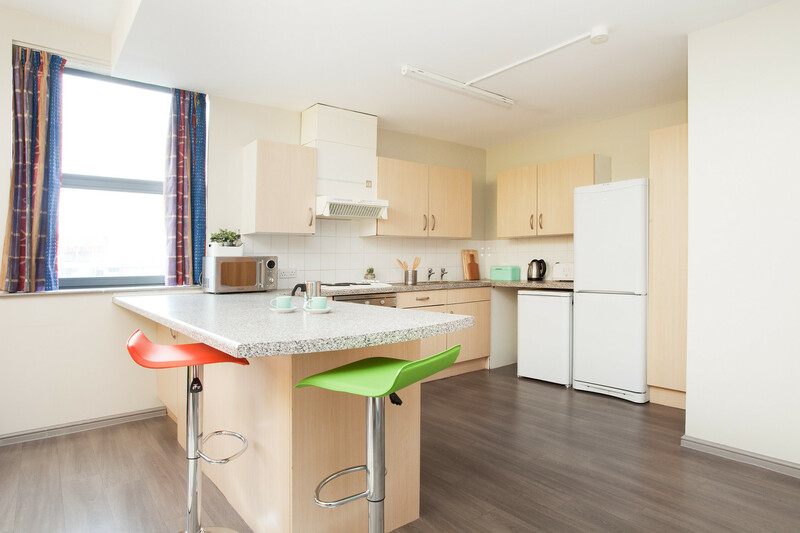 You’ll have your own en-suite room or studio in this vibrant student residence on Bond Street, close to Cabot Circus and all the city centre amenities. Managed by our partners Unite Students, Marketgate is open both City Campus and Frenchay Campus students. To be closer to opportunities for part-time work. Three-quarter and single size bedrooms all with ensuite rooms, three-quarter, single and double bed studios, wardrobe, desk and desk chair, under bed storage and bedside cabinet. Fridge/freezers, microwave, oven and hob, sofa, breakfast bar and stools, iron and ironing board, vacuum, mop and bucket, dust pan and brush. CCTV, on-site support, 24/7 emergency contact centre, common room with pool table, table tennis, table football, two study rooms, TV and sofa area, projector with HDMI, vending machines, free MyUnite app to log maintenance requests. Who does what You apply to Marketgate through the University and we allocate the rooms. Unite Students then issues your tenancy agreement and manages the residence. Marketgate, Bond Street South, Bristol, BS1 3PG. If you'd like to make Marketgate your new home, find out how and when to apply. Received an offer of accommodation for Marketgate or want more info?